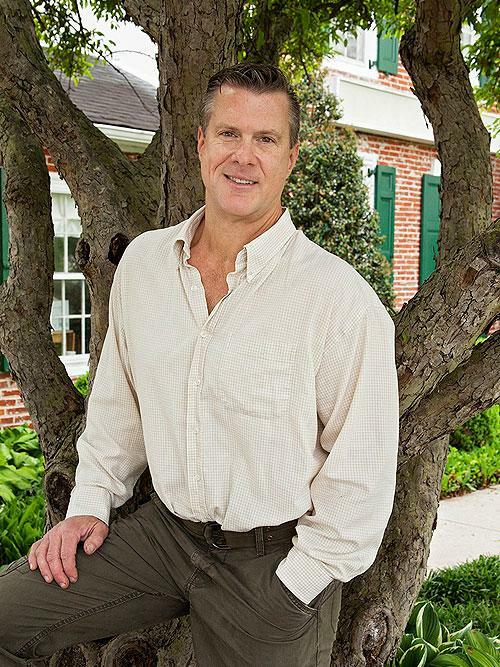 Eric joined Wallace Landscape Associates in June 2011 after a 16-year tenure with Terrain (formerly J.F. Styer Nurseries), nine years with the Philadelphia based land planning firm, John Rahenkamp Consultants, Inc., and a career start with Land Design Research, Inc., in Columbia, MD. A lifelong Delaware Valley resident, he earned a BS w/ distinction in Landscape Architecture from the Pennsylvania State University in 1986. Eric’s expertise and interests focus primarily on landscape design, construction management/team building and coordination of design implementations for residential clientele. In addition, Eric has extensive experience in residential, commercial and institutional land/site planning and development. Application of a hands on field design and management style achieves an optimum result, responding to both the client’s vision and the property’s capacities and potential. Eric has a special interest in The Sustainable Landscape Initiative (SITES) specifically, as it applies to the residential landscape and coupled with the understanding of our regional considerations. The preservation and adaptive reuse or restoration of existing property features, creative control of storm water and utilization of predominantly native plants promote the development of sustainable landscape environments, mutually beneficial for both people and nature. Eric also specializes in an environmentally appropriate approach to the integration of exotic/tropical plants into indigenous landscapes.